Crème hydratante 24 heures qui illumine instantanément et protège la peau. Since we first began as an old-world apothecary 165 years ago, Kiehl’s has been a leader in skin care product development through our scientific rigor and innovative thinking. With Kiehl’s skin care products at your fingertips, achieving natural, youthful and glowing skin has never been easier. When building a daily face skincare routine, be sure to include the three must-haves: cleanser, toner and moisturizer. always start with a cleanser to effectively rinse out dirt and excess oil buildup in your skin. Fully clear out any remaining debris and then close up clean pores to prevent new unwanted substances from entering with a toner. Finally, lock-in hydration throughout the day with a moisturizer for visibly smoother and younger looking skin. Add targeted treatments for specific concerns in between toner and moisturizer with products like anti-aging serums or acne treatment. Take your skincare to the next level. Add a weekly facemask to maximize cleansing and exfoliation while taking full care of your specific needs. Expand your skincare efforts beyond the face with a body moisturizer. Maintaining this skin care routine without overwhelming your skin is the easiest way to get clear skin. Keep in mind that it is not how many products you use on your skin that matters, it is making sure you are using the right products for your own skin. Kiehl's makes sure that you use the right products for your skin type. Whatever your concern is, whether is acne, wrinkles or dark spots, you can choose the Kiehl's serum for you to implement in your skin care routine. Serums consist of small molecules that can penetrate into the skin and deliver a high concentration of ingredients. Applying a moisturizer after the serum will ensure that these ingredients are locked into the skin and will perform even more effectively. No matter what your skin type is, it is very important to take care of it. It is crucial to include at least a cleanser, toner and moisturizer in your daily routine to ensure your skin is clear, hydrated and firm. To address any specific concerns you might have, you can also add serums, eye creams, and more. 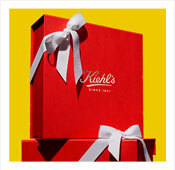 Look through our website or consult one of our experts at a Kiehl's store to create your specialized skin care routine!